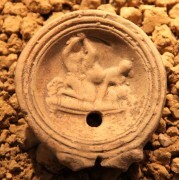 The Musée Romain de Lausanne-Vidy with archeological park explains the Roman history of Lousonna on Lake Geneva. Lausanne was a commercial port on Lake Geneva during Roman times. The small Roman museum in the suburb Vidy explains Roman life in Lousonna with the usual collections of archeological finds, models, and reconstructions. At a nearby free archeological park (Promenade Archeologique) the ruins of the Roman forum, temple and harbor wall can be seen. Lousonna was a Gallo-Roman merchant port during Roman times. The port town of around 2,000 was important for commerce with links on Lake Geneva to Roman towns such as the present-day Geneva, Nyon, and Villeneuve. However, during Roman times, Lausanne was never of political or military importance. Although borders shifted, Lausanne was mostly a backwater at the southern most parts of Germania, ruled from Mainz. Political and military power in the region was concentrated in Avenches and Yverdon-les-Bains. From the fourth century onwards, Lausanne gradually moved uphill to higher grounds with the Roman port town eventually abandoned. Today, the Roman ruins are some way from the lakeshore, as the level of Lake Geneva was permanently lowered during the nineteenth century. The immediate area is used for various sport facilities and a great area for outdoor activities and strolls along the shores of the lake. 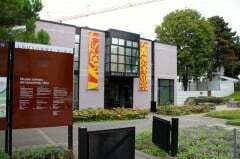 The Musée Romain in Lausanne-Vidy is a fairly small museum on Roman history. The emphasis here is on Lousonna and the collection is not particularly rich. The ground floor of the museum, which is built over the foundations of a Roman villa, is used for temporary exhibitions. These exhibitions can cover much more than just the Roman era. As this area is half the museum, the theme and quality of the display very much influence whether the museum is worth visiting at all. Fortunately, the displays are generally excellent and manage to link historic themes well with the present day. The upper floor covers Lausanne’s Roman past. Apart from explanations of basic archaeological techniques, the history of Romans in present-day Switzerland is briefly covered in the form of short newspaper articles. 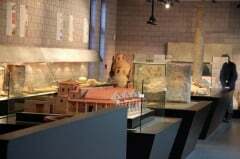 The main floor explains life and customs in Roman Lousonna with the help of the usual archaeological finds, models, and sketches. The displays are fairly imaginative and interesting although the local finds are not particularly rich. In addition, all descriptions are in French only although some information in English and German is available at the reception. A Roman garden behind the museum is currently closed for remodeling. A short walk from the Roman Museum – pass underneath the highway towards the lake – is the Lausanne Roman Archaeological Park. Here many Roman foundations have been uncovered. 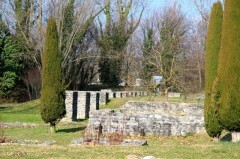 Visitors can freely explore the archaeological park. Information tables explain the Roman town layout and buildings. The temple was a good 71 m long but the antique port wall is probably the more impressive. The Romans called the lake Lacus Lemannus, which basically meant “lake lake” as the local population did not bother calling the body of water anything but lake and the Romans took the word as name. Lake Geneva has been more common in various languages since around 1500, while Lake Lausanne was often used during the Middle Ages. In French, Lac Léman has been the most common for the past two centuries or so. 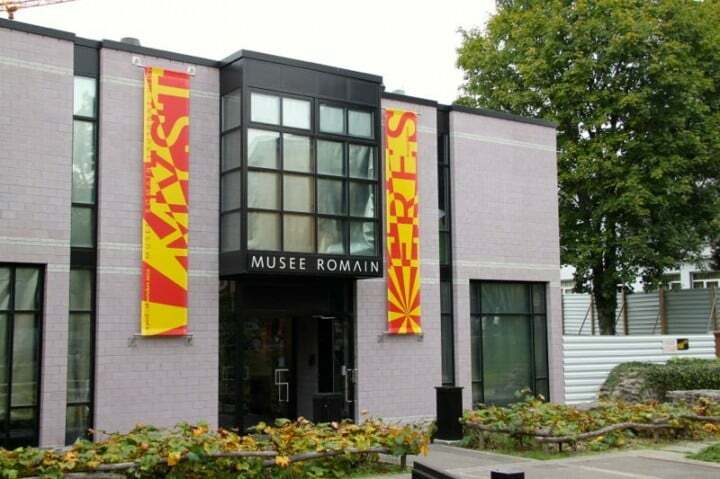 The Muséee Romain is open Tuesday to Sunday from 11 am to 6 pm. During July and August, and on most vacation days, the museum is also open on Monday. Admission is CHF8 for adults (free for under-16s), which is a bit steep given the small size of the museum. However, admission is free on the first Saturday of each month. 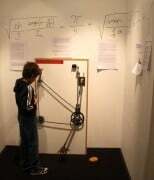 The Swiss Museum Pass is also valid. Admission to the archaeological park is free. The area is unfenced and always open. Ample parking is available at the extensive sport facilities in the immediate vicinity. Although the Roman Museum in Lausanne is interesting to see, it is fairly small. Other museums in the region that covers Roman history well include the museums in Nyon, Avenches, Yverdon-les-Bains, and of course the large Laténium near Neuchatel.